MeniQ - a method for effective treatment of Meniere. 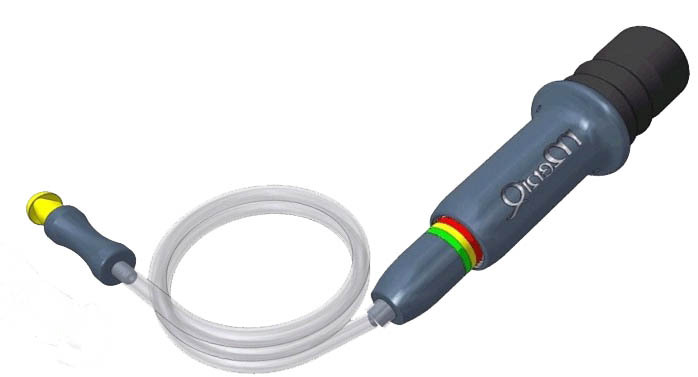 MeniQ pressure pulsator shall be used for treatment of Meniere's disease. For optimal treatment results MeniQ has IPC (Individual pressure control). Therefore a vent tube (TMD implant) in the ear is normally not needed and treatment can be started immediately. Clinical studies shows that MeniQ effective alleviates the symptoms of the Meniere's disease. 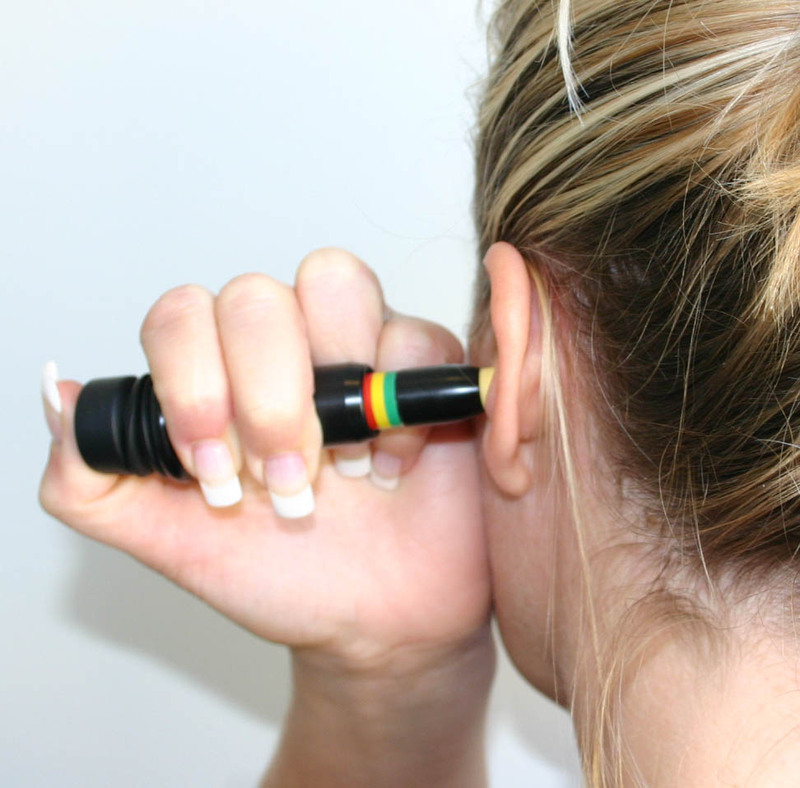 Vertigo is normally gone after a few weeks and hearing loss, tinnitus and pressure in the ear decreases gradually. MeniQ has no known side effects. Treatment of Meniere's with MeniQ is preventive. MeniQ can also be used acute and combined with medicine. MeniQ is developed in collaboration with doctors and patients. With MeniQ you can live a normal life without vertigo attacks. MeniQ is used in 5 continents. At Meniere's disease is the endolymph of the inner ear swollen, you can compare it to an inflated balloon with too high pressure. Treatment with MeniQ gives soft shocks of air pressure that applies to the inner ear and massage the endolymph. Within a few weeks the endolymph has normally recovered its original volume and pressure. The symptoms of Meniere's disease disappears. Treatment with MeniQ givs soft massage and adjustable pressure pulses. 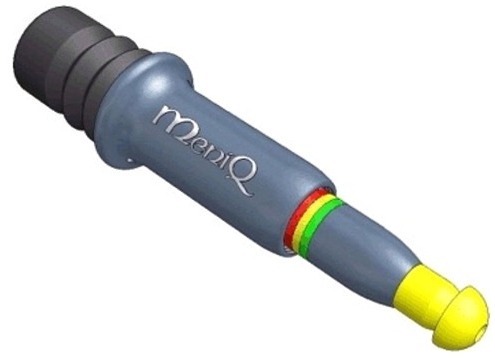 MeniQ can be used with or without the hose and effective stops acute vertigo attacks. MeniQ is easy to use and treatment is performed as the pictures shows. 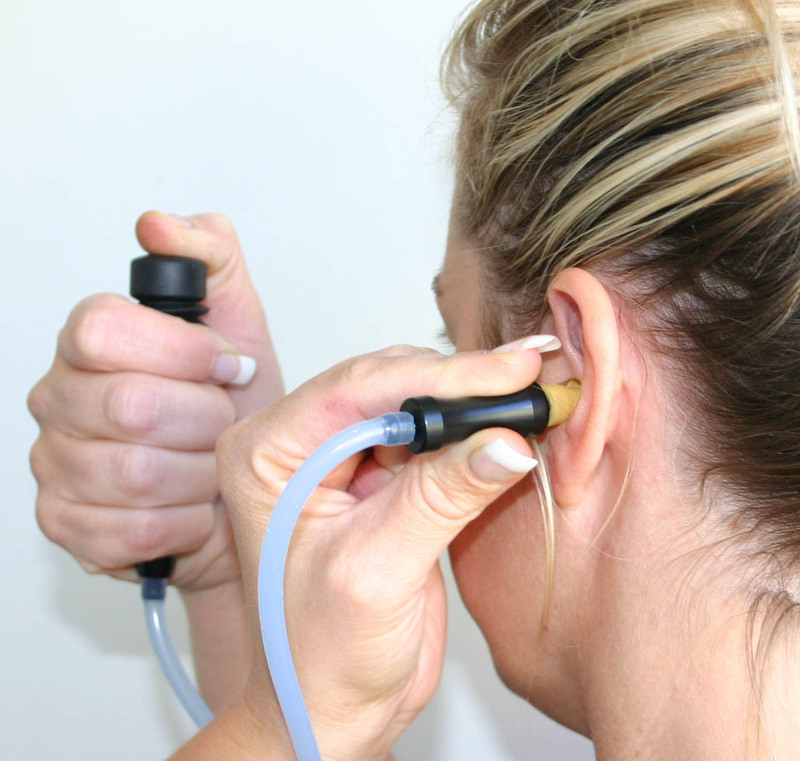 Soft air pressure pulses "massage" restore the balance in the inner ear fluid system. A treatment takes only a few minutes. MeniQ is used preventive and at acute vertigo. Preventive treatment at least three times a day. 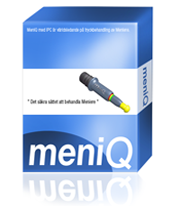 MeniQ fits in your pocket, always at hand at an acute attack.